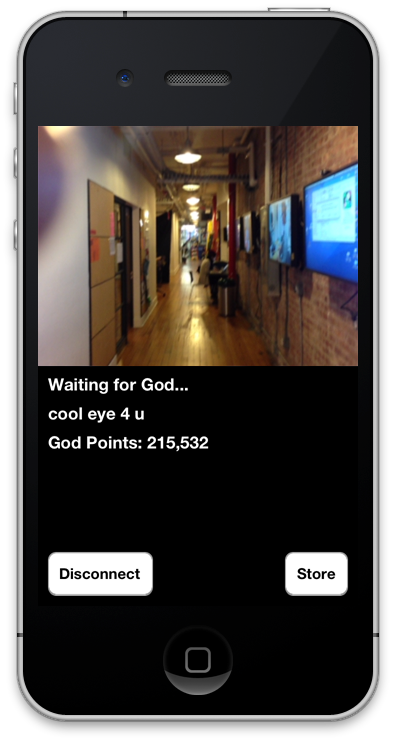 God's Eyes is an iOS app where of all its users, only one is God. All other users are God's Eyes. 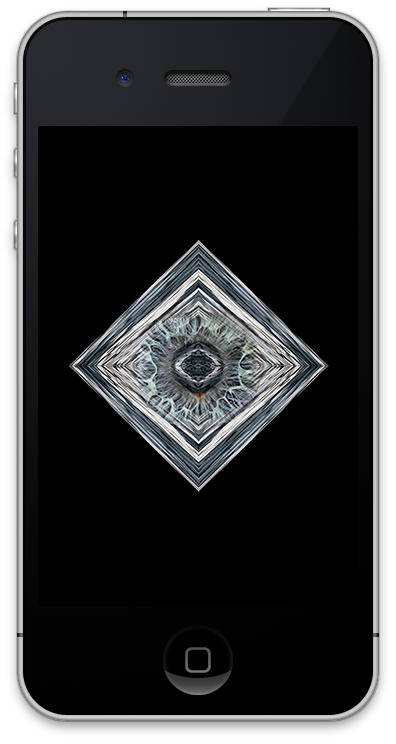 When God wants to be entertained, they summon their eyes through a push notification that is broadcast to all other users. 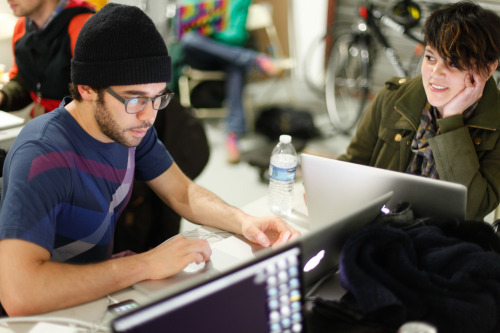 God's Eyes offer their live video streams and earn "God Points" while they keep it open. God chooses which stream to visit and can speak to whichever Eye they are visiting. 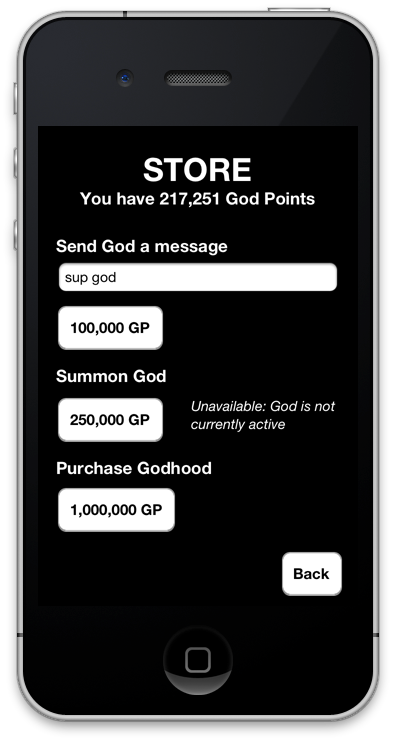 God's Eyes can visit the store to make purchases with their God Points, ranging from sending a personal message to God to purchasing (usurping) godhood.